A little bit of reading up on the country before my recent trip to Canada showed that in addition to moose(s), woolly hats and decent do(ugh)nuts they also have have an alarmingly rich tradition of making fine boozes. The small range of whisky and bottles of Labatt’s that we see in the UK are merely the slightly dodgy tip of the iceberg, and a whole host of interesting beer and wine is being made along with the decent whisky that I discovered during my trip. 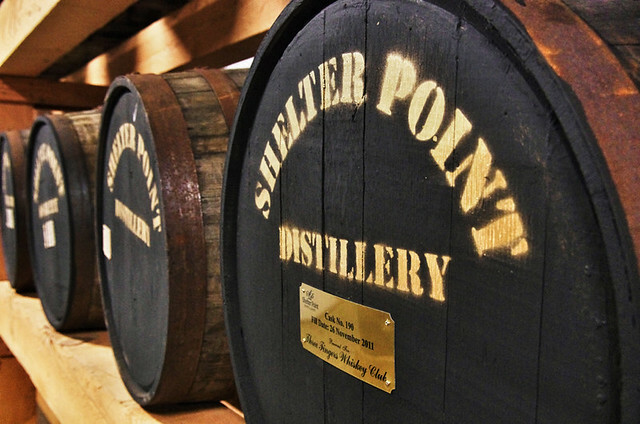 The organisers of the Victoria Whisky Festival wanted to show off some of the tasty things being made in British Columbia, so organised a trip for some of us international guests to visit the only single malt distillery on Vancouver island – Shelter Point. They’re a very new distillery, starting their completely new build back in 2008. 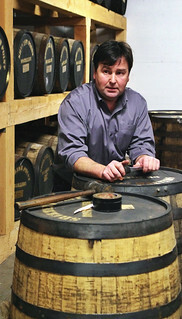 The first cask was filled in June 2011, and they now have a few warehouses of spirit quietly maturing. They also have a blended whisky, using spirit made and matured elsewhere. The project initially started out as a partnership involving Jay Oddleifson, a local businessman, Andrew Currie, founder of the Arran and forthcoming Lakes distillery, and Patrick Evans, local farmer and owner of the site, a former University of BC scientific farm. Unfortunately the partnership failed and Patrick stepped in to take control of the entire operation, now including the custom built still house. 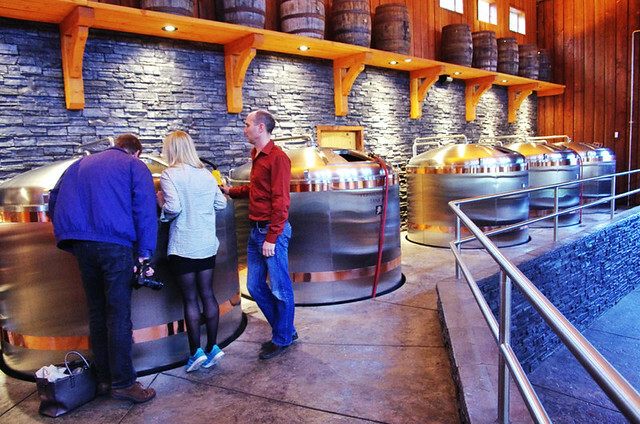 They mash with a pilsner malt, sourced from Canada Maltings in Calgary. 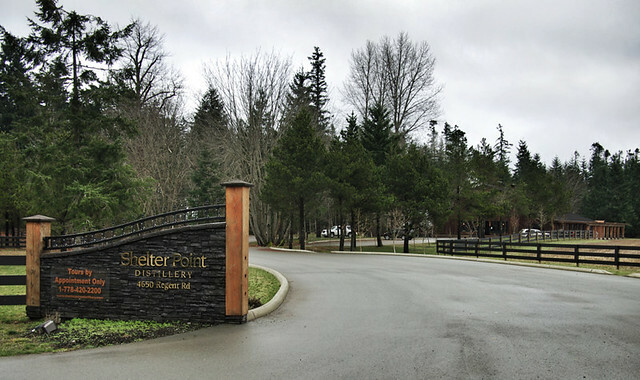 While Patrick and distiller James Marinus want to grow their own malt on the farm, the lack of a maltings on Vancouver Island makes that currently infeasible – the grain would have to be harvested, transported to the docks, ferried to the mainland and then trucked to Calgary for malting, at which point the process would begin again in reverse. They have plans to one day have their own maltings, which would also benefit local brewers and others looking to open distilleries on the island, but with the spirit only 18 months in cask they are focusing their attention more closely on production for the moment. The wash is light bodied, fermented to 8-9% before distillation and has lots of citrus fruit on the palate, especially lemon and grapefruit, as well as some lactic sourness. 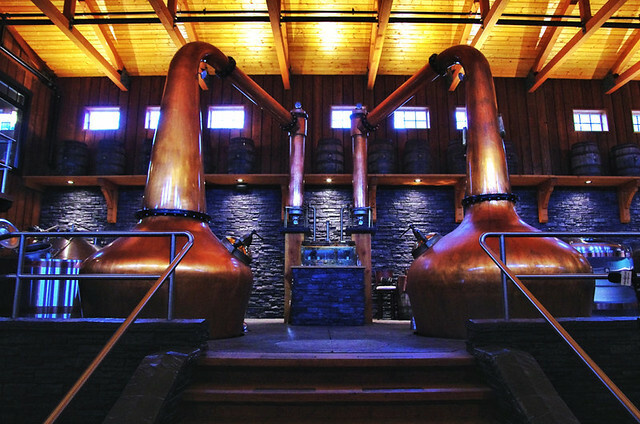 Distillation is slow, in part due to the low pressure steam boiler that they use to heat the stills, with 8 hours for a full wash run and 10 hours for spirit. The heart cut comes out between mid 70s and high 60s percent ABV, with the higher strength spirit showing traditional apple and pear notes, and the lower amplifying earthier flavours, with spice and chocolatey hints. James is not the first master distiller, initially coming on board to help to build the distillery, and when they opened Mike Nicolson was in charge of the stills. Mike is a familiar name in the Scotch whisky industry, a third generation distiller who’s worked all over Scotland at distilleries including Dalwhinnie, Royal Lochnagar and Lagavulin. He retired to Vancouver island a few years back and was tempted back into the trade by Shelter Point. James worked with him for a while to pick up the ways of distilling and took over when Mike returned to being retired (apart from the occasional appearance at local whisky festivals and tastings, of course). 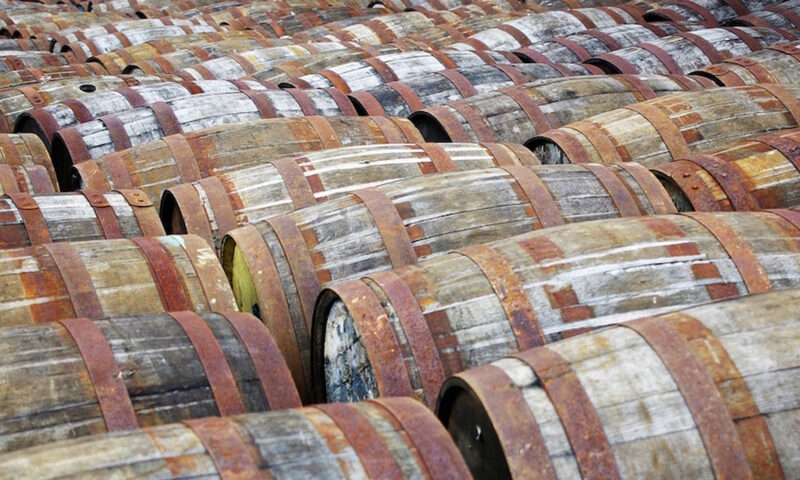 Initially they filled their whisky into first fill bourbon casks from Jim Beam, using barrels that had been used for 8-10 years already. However after they modified their warehousing to have some climate control (a little bit of heating to take the edge off the chilly island winter) they found the the spirit was developing quite quickly and decided to amplify that effect a bit by reracking just over half of their proto-whisky into active former Jack Daniel’s casks. Nose: Vanilla, caramel, herbal notes and underlying sharp citrus. Taste: Sweet vanilla, some bitter grains, butter, light spice and red fruit, with a good whack of youthful spirit. Finish: Quite hot, as you’d expect ~60% spirit to be, with coffee, dark chocolate, digestive biscuits, apple skin and green apples. Water: Nutmeg spiced custard on the nose, menthol on the palate and a touch of liquorice on the finish. Decent even after 18 months, I’d be very interested to see how this is after a few more years in wood. Hopefully Patrick and James will be able to resist releasing it until it’s ready. One of James and Patrick’s experiments – they have a few of these casks that they filled after acquiring them from a fruit wine producer. Nose: Sour berries, cream, caraway and cereals. Taste: Rich jammy fruit, caramel and dark chocolate. Finish: Woody spice, caramel, lots of fruit, cream and butter icing. Another interesting one – it’s already picked up a big red fruit jam note and hopefully a few further years in the cask will round out more of the young spirit notes, as well as naturally reduce its fairly punchy strength. Many thanks to Patrick and James for showing us around and turning the still room into the best dining room ever. Also huge thanks to Graeme Macaloney, former native of Scotland, resident of Vancouver island and hopefully one day distiller at his own distillery – he drove a car of jetlagged foreigners 3.5 hours up the island and back, including a stop at Tim Horton’s for coffee and donuts, and only subjected us to enlightened us with one tale of historical clan wars in Scotland, which scarily involved the families of almost everyone in the car (2 Scots, 2 English, 1 Canadian, 1 American, 1 German), missing out only myself (no Scottish heritage) and Oliver Klimek (likewise, afaik). Mark Gillespie (whose clan forebears were involved in the story) has an interview with Patrick recorded during the trip in Whisky Cast 407.